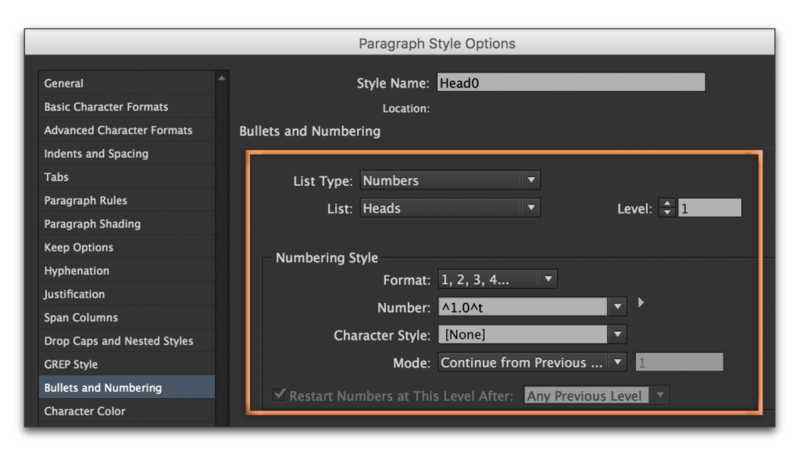 As mentioned in a previous post—Adobe InDesign: Include Paragraph Numbers in a Table of Contents—numbering chapters and paragraphs in InDesign takes a little effort. You have to work through the logic and then set up the paragraph styles. 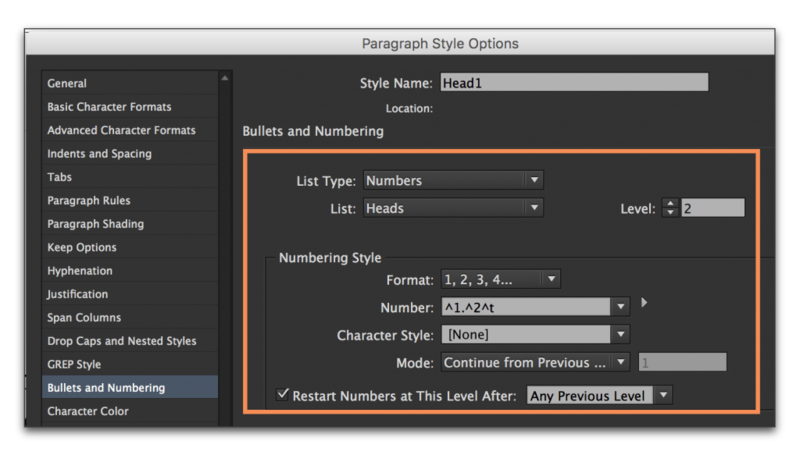 For more information on this part of the process, see Adobe InDesign: Numbering Chapters, Subheads, Tables & Figures. In the post on setting up numbers for chapters, subheads, tables and figures, you learned that when you get it working, the numbers always begin at 1. So what if you use section numbering, and want to start with a zero? You can do it, you just have to type the zero yourself in the Bullets & Numbering dialog box. Here’s how. For the list shown above, set up two paragraph styles. I called mine Head0 and Head1. Head1 is the second level in the numbering (1.1 Siamese, 1.2 Rag Doll): designate it as a Level 2, and set the numbering format to ^1.^2^t . (^1. displays the level 1 number followed by a period; ^2 displays the 2nd level number and ^t is the tab character that follows.) Level 2 should start over after the previous level so that after a new Head0 appears (2.0) the 2nd level restarts at 1 again (2.1, 2.2, 2.3).